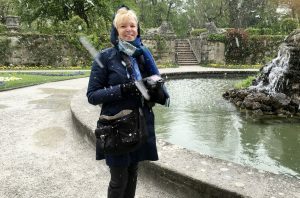 It was cold and gray and spiteful flurries of snow were whipping against the thin protection of my travel raincoat as I looked out over Salzburg, medieval and baroque buildings alike huddling in dark silhouette against the lowering sky. I was looking for the spot on the Winkler Terrace where Maria and the von Trapp children sang Do-Re-Mi and I was not finding it. Snowflakes were, however, landing on my nose and eyelashes so I was lyrically, if not geographically, in the zone. I was chilled, I was damp, I was lost not for the first time that day having decided to go it alone, armed mainly with Google maps. And you know what? I was loving it. 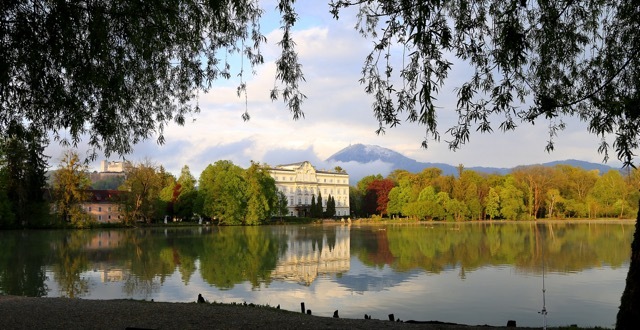 The fact is, if you are a true fan of the Sound of Music, as I am, it’s hard to have a bad time in Salzburg. The city really is the star of that film and, being ancient to begin with, really hasn’t changed much. It feels like you’re touring a Hollywood backlot, but these facades are for real. When should you go? I would caution against going in late July/early August unless you are very comfortable with crowds and sultry streets. Also, check the weather; it rains quite a bit here. I was not expecting a substantial snowfall in late April, but that is what I got. On the one hand, not ideal sightseeing weather, but on the other hand the place was fairly deserted; I had several locations all to myself which warmed the cockles of my misanthropic little heart. And on that day in April, that is what I did after a brisk walk back from the Winkler Terrace and the spot, or maybe not, where Do-Re-Mi rang out. 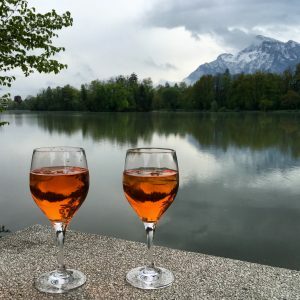 Sitting in the ornate palace, glass of bright orange comfort in my hand, I looked out at THE lake and saw THE mountain and THE steps where the flustered and drenched Maria confronted her angry employer. Aperol spritz and movie magic—two of my favorite things. STAY: Schloss Leopoldskron Site of several garden scenes, set on the (surprisingly tiny and man-made) lake featured in many shots. Short walk to the main town. You can also stay at the actual house where the real-life von Trapps lived, not featured in the movie. Villa Trapp. SEE: Can’t go wrong walking around Salzburg. 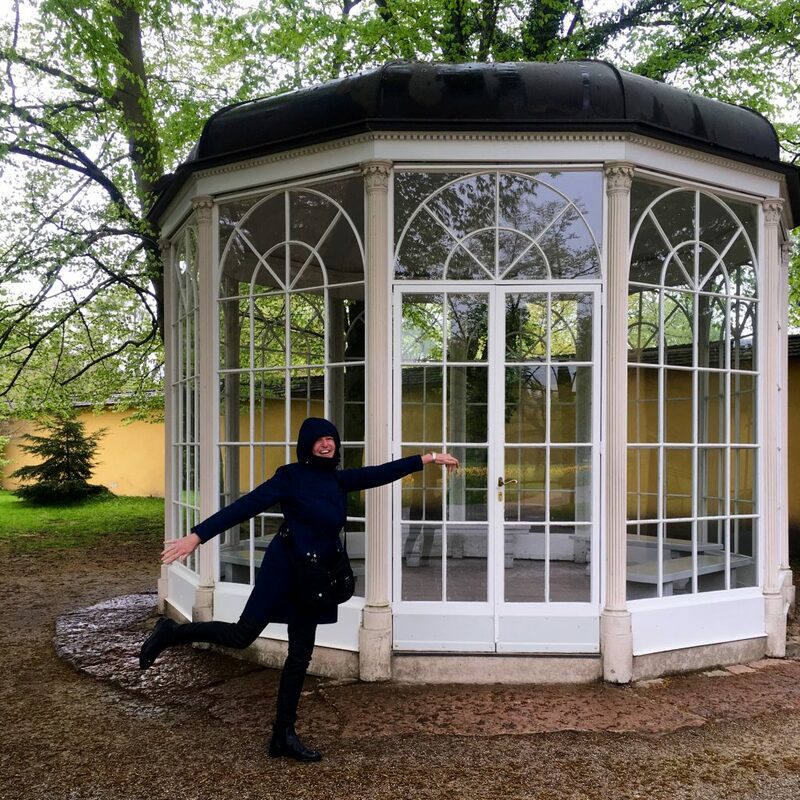 Look for the Mirabell Gardens where Maria and the children skip around a fountain and run through a hedge tunnel while singing Do-Re-Mi. To get there from the town you’ll cross the Mozart footbridge, also featured and scenic in its own right. 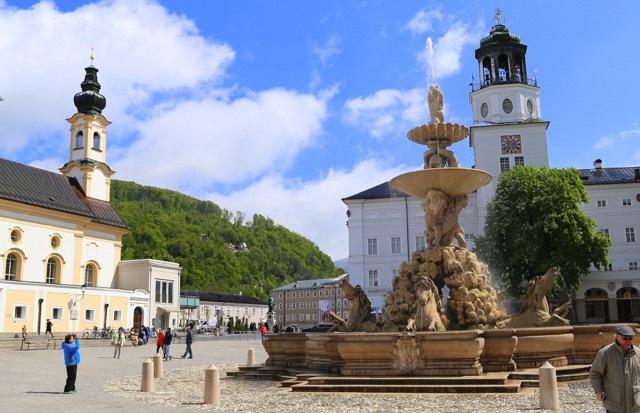 (Oh, yeah, Mozart was born in Salzburg. You can go by his house if you like.) Residenzplatz, the huge square with the beautiful horse fountain is hard to miss. Here’s a page with lots more links that can help you plan your trip. DON’T get taken in by appearances. People will tell you the suspenseful graveyard scenes (Rolf, how could you?) were shot at St. Peter’s Abbey. And the abbey was the inspiration for the set, but that set was in Hollywood. Ditto the gazebo where the luminous Liesl dances with Rolf. The dance scenes were shot in Hollywood. 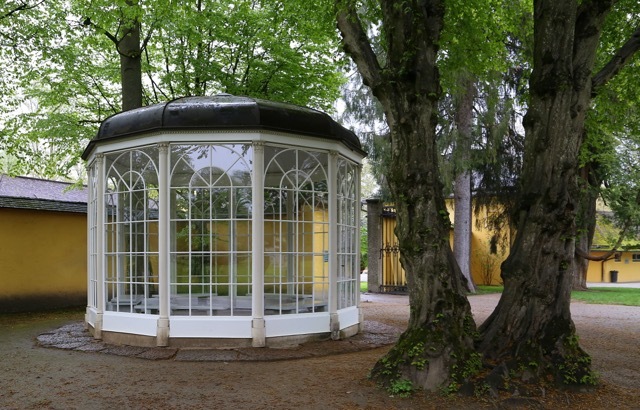 A second, smaller gazebo was built and set up at Leopoldskron Palace for exterior shots. Because too many tourists came by to see it post-movie (it wasn’t a hotel back then); it was moved to its current location at Hellbrunn Castle. The castle has beautiful gardens and is worth a visit. The gazebo is cool to look at but small and locked. You take your picture and move on.